For all of you who are attending the LSM’13 in Brussels, my colleague Christophe Strobbe and I will be giving a talk about the Cloud4all project and how we are contributing to build the Global Public Inclusive Infrastructure (GPII) personalization framework. It will not be a very deep ‘tekkie’ presentation but we will talk about the major components we are working on, giving an overview of the architecture and showing how the system is working right now. So this talk is for all kind of audience. Demonstrations on PCs (Both GNU/Linux within the GNOME desktop and Windows 7 platforms) and Android smart phones will be shown too. As part of my participation on the Cloud4all project, I’ve been working on packaging the 0.1 release of GPII. This is because we need an easy way to install all the components and required dependencies for the end-user. With this, we will be avoiding an end-user from dealing with git and/or installing some dependencies by hand. Since many people working on the project are using Fedora (and we’re using Fedora in our first pilots iteration), I decided to make those packages for Fedora 18, but make them working on other distributions would be pretty straightforward. 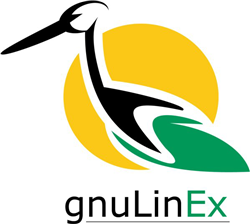 gpii-linux: Platform-specific code required to run the GPII Personalization Framework on Linux with GNOME. This package also includes the GSettings Settings Handler and the USB Drive User Listener. I also made a package which includes the .repo file for an easy repository addition, this is the gpii-fedora-18-repo package. During the packagement process, I found here that some people are already defining the inclusion of Node.js and associated ecosystem in Fedora, and also I found these packaging guidelines really useful to package a few Node.js modules. Since I am used to OBS, I built and published a repository with all the packages on the openSUSE’s instance of OBS. You can find the project here. As an end-user, you can install them just by adding the repo and installing them (either by using yum or the gnome-packagekit GUI). All the dependecies will be resolved and installed during the installation process. The GPII Personalization Framework will be started on user’s space at login time. This includes both the USB drive and RFID tags user listeners. Since the project is in a early development status, all the components will be running on local and using working test data. As a brief resume, everyone who is interested on testing the framework can do it easily. Since there are people using the framework which is not strictly a developer but they need to deal with the latest code, I’m thinking on doing weekly updates from github, but I still need to think a little about it (so I do not promise anything). To split the upstream code into more packages, at this moment we have only one package for each upstream repo. using gnome-packagekit GUI: Search for gpii and install gpii-linux and gpii-linux-rfid-listener packages. Do a log out/log in process in order to have the framework running on your GNOME session. As a reminder, you can find all the information about the GPII/Cloud4all project in the GPII wiki page. GBeers is a world wide initiative for GNOME meet ups with lighting talk presentations and beers! Want to read more? Want to organize GBeers in your city? Check this out! The first GBeers was in Madrid, and last thursday, we meet a few GNOME lovers in the Emergya office willing to start this initiative in Sevilla too. For this first time, Emergya offered the venue for the talks and paid some free beers after the presentations (Thanks!). Ana Rey and I organized this event and we want to make it every month, as a regular meet up for GNOME lovers living in (or near) Sevilla. 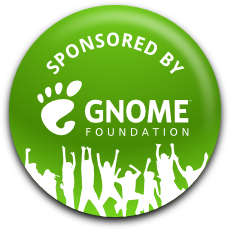 As a brief resume, Ana and I talked about GBeers and the GNOME Hispano association, Pablo Escribano talked about GNOME OS Bundle, and I did a quick overview of the GNOME 3.6 release. We had developers and users, and I feel that there will be more attendees in the upcoming editions of GBeers Sevilla. They were more attendees than we expected, so it seems that this is only the beginning of something bigger. Ana Rey posted a resume (in spanish) and we filled all the relevant information on this wiki page, there, you’ll see the attendees and more information about the event like the slides, or the group photo. In 2002, the Extremadura government (Junta de Extremadura) decided to end the monopoly of Microsoft in its region due to the expenses of its licenses. To do this, they decided to create a Debian-based distribution designed to cover the needs of home users, government or schools with GNOME as the desktop environment. Linex was born. The project started too strong but the full movement to this initiative failed. Anyway, schools in Extremadura adopted the distribution and the public sector started to adopt some years ago. But last year, and motivated by political changes in the government, its development and maintenance stopped and the Extremadura government ceded Linex’s responsability to CENATIC (National Center for the Application of Information Technology and Communication). Now, CENATIC wants to keep working on Linex and started a public contest for to give the contract, and yesterday we knew that Emergya won it. It’s not our first rime with Linex because we already did some works for the public sector Linex flavour a couple of years ago, so we’re more than ready to achieve the goals. I’m really happy of being part of the Open Desktops Team at Emergya, we developed more than 15 distributions since my arrival and we’re always proud of our results. Each time we start a new distribution, we do our best to success. We’re a multidisciplinary group working together on distributions and we cover most of the techonologies around, so I think Linex will be just another success. 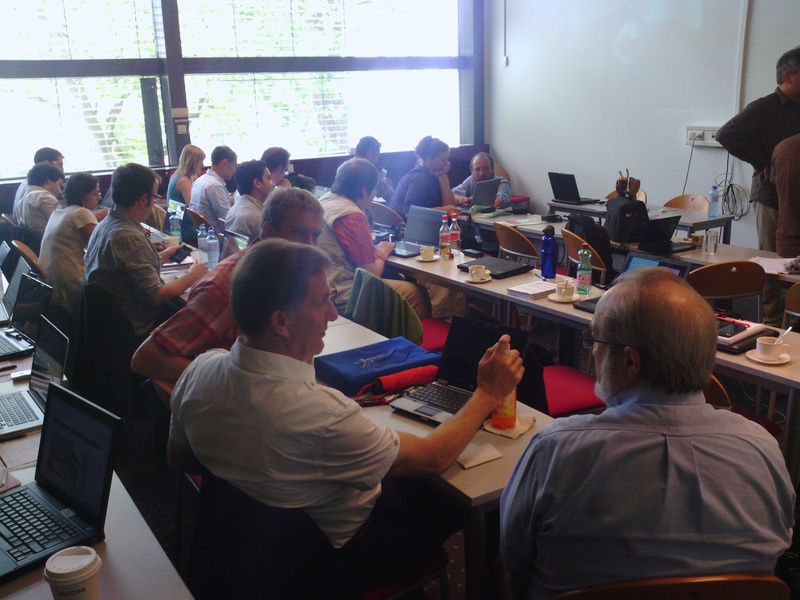 This week we’re starting the preparations for the first Cloud4All pilot rounds, whose will start in January 2013. We (Emergya) are responsible for the works on the Linux/GNOME platform and we work together with the Vodafone Foundation for the Android platform, so it’s time to stabilize the already implemented features on GNOME and to give some love to the Android one, which still has more problems than solutions. On the GNOME side, I’m still making progress with the (G)DBus bridge. Last week I’ve been revamping the argument parsing and now, the DBus calls return values are returned to Node.js in a pretty JSON structure. Regarding node-gir, I didn’t had time for testing it enough, but it seems to have some problems with UTF8 returning values. I’ll try to get time to dive into this a bit and hopefully provide a patch for it. Right now on the Android side, there are more problems than solutions. We’re working with the Vodafone Foundation for addressing these problems and willing to provide the first Android implementation as soon as we can. As part of the initial code for the Cloud4All project, we already have a GSettings bridge for to handle some desktop settings, but we needed a mechanism for to deal with other behaviours/settings of the GNOME Desktop, and DBus fits here. The endline for this implementation isn’t too close, but we’re already making the Cloud4All stack better and I’ve just pushed a DBus module for Node.js. Change GNOME Shell default behaviour and/or appearance by using extensions. I have this code into a personal branch in github and I’ve attached a test which does basically four things. Soon, I’ll post more about Cloud4all, so stay tuned! La semana pasada mi compañero Alejandro Leiva y yo estuvimos por tierras austriacas con el motivo del Cloud4All/GPII Implementers Workshop and Hack-A-Thon. La cita concretamente tuvo lugar en la Universidad Johannes Kepler, situada en la tranquila ciudad de Linz, al norte de Austria. Allí, se dieron cita el equipo de arquitectura de Cloud4All junto con los implementadores de las distintas plataformas. Entre los asistentes, pudimos contar con la asistencia de gente de Technosite, Fundación Vodafone, OpenDirective, IDRC y Astea Solutions, entre otros. En nuestro caso, Emergya, nos encontrábamos allí en el papel de implementadores en escritorios libres sobre la plataforma Linux y sobre las plataformas móviles más comunes como Android, iOS ó Windows Phone. El lunes a primera hora, fuimos recibidos como es debido, y tras el arranque del evento y la presentacion de todos los asistentes de manos de Gregg Vanderheiden y Gianna Tsakou, pudimos disfrutar de una demonstración de los avances realizados en el proyecto a cargo de Kasper Galschiot, desarrollador y miembro del equipo de arquitectura. Tras éste arranque y durante todo el día, el equipo de arquitectura nos introdujo en la solución propuesta a implementar en el proyecto Cloud4All, con charlas enfocadas a familiarizar a los asistentes con la arquitectura definida, sus componentes y el entorno tecnológico al completo. El segundo día sirvió básicamente para adentrarnos en algunos detalles acerca de la solución Cloud4All, como ciertos componentes de la arquitectura a nivel descriptivo y funcional y el stack tecnológico usado, además de algunas nociones sobre Node.js. El resto del segundo dia nos sirvió para sentarnos por grupos e ir viendo los primeros problemas de cara la implantación en las distintas plataformas, en concreto nos centramos en la plataforma Android. Fruto de éste encuentro se pudieron definir algunos puntos por donde comenzar a darle forma a la implementación. Éste mismo día, nos sentamos con Colin Clark y tuvimos la oportunidad de explicarle a grandes rasgos la solución a implementar Cloud4All en los escritorios libres tales como Gnome. El final del día, concluyó con una reunión del grupo relacionado con SmartHouses, como caso de implementación de Cloud4All sobre las casas inteligentes del futuro. Los siguientes días del encuentro sirvieron para comenzar a escribir código, intercambiar opiniones, preguntar dudas, sugerir cambios en la arquitectura inicial implementada y como no, conocernos, intercambiar inquietudes y consolidar la buena relación que llevabamos forjando dia a dia tras los medios habituales como el correo electrónico ó Skype. De Linz, me traigo muy buenas sensaciones; un grupo de personas con un gran nivel técnico y mejores personas aún, con el mismo deseo de que Cloud4All llegue a convertirse en una realidad. So, I’ll be busy this year at GUADEC, see you there! I’ve just published a great release of Accerciser, the first unstable one. Accerciser 3.5.3 comes with a lot of bugfixing, and new improvements too. Now, I have some things in mind for this development cycle, and most of them with some patches waiting for a review. … but we still need the last effort. When I started to work around Gnome, around 5 years ago, I were fascinated about reporting bugs, backporting packages and putting my knowledge as a distributions developer and as an advanced user into my main assignation at my day job, the Guadalinfo project. From the beggining, my first movitation on Guadalinfo was that I was making people with difficulties on their access to new technologies were able to enjoy them without barriers. Most of these people are old people, but there are also another kind of users, and lot of them with special needs. Special needs like braille devices, big keyboards or assistive software. Two years ago, my opportunity arrived, and I started to contribute to Gnome on my job time. This resulted on a contribution to Orca, since Guadalinfo wanted to give a user profile support to Orca. This first experience was very special to me, because I realized that anyone can contribute with Gnome, and so, you’re helping a lot of people, like the Guadalinfo users. This year, the Gnome Accessibility Team is trying to get an extra support, and give to people with disabilities the chance of enjoying some new improvements and enhancements on our platform. There are a lot of ideas like performance improvements, track focus and caret features into the Gnome Shell Magnifier or built-in accessibility features into WebKit, among other stuff. The campaign is still open, the Marketing Team is doing a great job (thanks! ), and the campaign is a success as we’re too close to our goal, but we need a last effort from you. You can still make your donations, spread the word about the campaign, tell us your story (like Diego and Robert already did) or whatever, but help us to make this year, the year of accessibility. For more information, you can check http://www.gnome.org/friends/ and there, you will see how you can make your donations or read the stories from Robert Cole and Diego Sánchez.